The rotary cell culture system is a device designed to grow 3D cells clusters (tissue, cancer tumors and virus cultures) in microgravity (outside the body). The advantage here is to obtain larger and 3D cell cultures with structural and chemical characteristics similar to normal tissue, in comparison with lab-grown cell cultures. 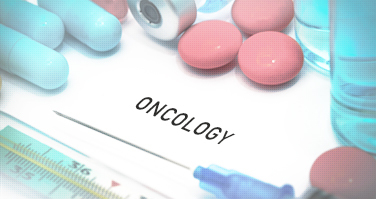 It allows to test chemotherapy agents on a patient’s own cancer cells ex vivo. In these assays, (Lymphatic) Endothelial Cells ((L)ECs) are seeded as monolayers on culture plates or onto the surface of matrix-coated plates. Such 2D cultures can be used to evaluate the effects of putative lymphangiogenic stimulators or inhibitors on specific LEC properties. While none of the 2D cultures can undergo all steps of lymphatic vessel formation, these systems contribute to analyze cell activities (e.g. gene expression profiling), cell proliferation, apoptosis, adhesion, migration (wound scratch assay, boyden chamber assay) and morphogenesis (tubulogenesis). In this assay, Lymphatic Endothelial Cells (LECs) monolayer is scratched out. LECs migrate to wound the scar. This assay allows the assessment of LEC migratory capabilities. Mitomycin C can be added in the culture medium to inhibit cellular proliferation. Plates are observed under a phase contrast microscope and the percentage of area recovered by migrating cells is determined. Boyden chambers are a useful tool to study cell migration and cell invasion such as chemotaxis, haptotaxis and transmigration. It consists of a cylindrical cell culture insert nested inside the well of a cell culture plate. The insert contains a polycarbonate membrane at the bottom with a defined pore size. Cells are seeded in the top of the insert in serum-free media, while serum or similar chemoattractant are placed in the well below. Migratory cells move through the pores toward the chemoattractant below and can be stained or quantified in a plate reader. Invasive cells may be similarly measured by the placement of a coating of extracellular matrix proteins on top of the membrane. 3D cultures bridge the gap between in vitro and in vivo assays and are available to follow the sprouting process and Lymphatic Endothelial Cells (LEC) morphogenesis. The lymphatic-ring assay appears as a potent tool for the study of pathological lymphangiogenesis, defined as the abnormal formation of new lymphatic vessels from preexisting ones. LEC are seeded on matrix-coated substrates and organized into capillary-like structures. Results are expressed as the area density of tube-like structures, defined as the area occupied by tubes divided by the total area of the studied field. The spheroid sprouting assay consists of a self-aggregation of LEC embedded in a 3D matrix composed of type I collagen. LEC originating from the spheroids progressively invade the gel and migrate either individually as unicellular sprouts (single cells) or collectively as complex capillary-like structures. The area occupied by the migrated cells and the spatial distribution of cells around the initial cell aggregate are determined through an original computerized method. Clonogenic assay or colony formation assay is an in vitro cell survival assay based on the ability of a single cell to grow into a colony. The colony is defined to consist of at least 50 cells. This assay essentially tests every cell in the population for its ability to undergo “unlimited” division. Clonogenic assay is the method of choice to determine cell reproductive death after treatment with ionizing radiation, but can also be used to determine the effectiveness of other cytotoxic agents. Organotypic culture involves the combination of cells in a specific ratio to create a component of an organ. Researchers at GIGA have expertise in development of organotypic cultures of normal and tumor epithelial cells, involving the growing cells in a 3D environment. 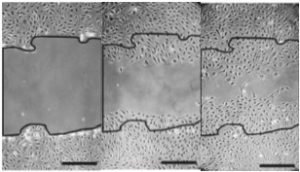 They developed organotypic culture systems that permit epithelial cells to proliferate and differentiate at an air – liquid interface on a dermal equivalent support. Normal keratinocytes stratify and fully differentiate in a manner similar to the normal squamous epithelial tissues. This culture system is more similar biochemically and physiologically to in vivo tissue. Human epidermis reconstructed in vitro may be used as the best alternative for the in vitro testing of the toxicology and efficiency of products for topical use, as well as in the treatment of skin burns and chronic skin ulcers. The dermal equivalent is an in vitro model of the dermal layer of skin. It is constructed by seeding dermal fibroblasts into a collagen gel. Other cell types may be incorporated into the dermal equivalent to increase the complexity of the model. 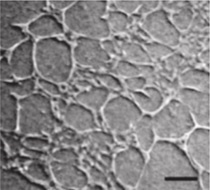 Human keratinocytes and melanocytes cultured in vitro are grown on a biological matrix (dead de-epidermized human dermis) and the system is kept at an air-liquid interface, in a suitable culturing medium, until a stratified human epidermis is formed, maintaining the histological characteristics of the epidermis in vivo. De-epidermized dermis model is a closer approximation to the in vivo situation of formation and maintenance of the mature epidermis. The choroid-allantoic chicken membrane (CAM) assay constitutes an easy and affordable system for preclinical characterization that may precede the mandatory process of animal testing. 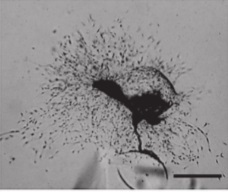 The tested substance is prepared either in slow-release polymer, or absorbed by gelatin sponges, or air-dried onto plastic discs; which are then implanted onto the CAM through a window cut carefully in the eggshell. The lack of a mature, immune system in 7–8-day old chick embryos allows the study of tumor-induced angiogenesis. The angiogenic effects can be measured by counting the number of blood vessels in a given area. This models is also useful to study the tumor growth. This system consists of ex vivo culture of fragments of thoracic ducts or intact vascular explants dissected from mice. These small fragments of mouse lymphatic thoracic/aortic duct are embedded in a collagen gel. After a few days of culture, lymphatic/aortic rings cultured in collagen gel give rise to microvascular networks composed of branching endothelial channels. This in vitro model reproduces more accurately the environment in which (lymph)angiogenesis takes place and is suitable for screening lymphangiogenic factor or new pro- or anti-angiogenic agents. This assay is helpful to identify and characterize molecular targets for cancer drug development, to study the role of enzymatic systems (serine-protease, matrix metalloprotease) related to (lymph)angiogenesis but also for phenotyping transgenic mice or knock-in mice.